Your homepage is the most visited place in your store. It’s the page from where your customers start exploring the storefront. You might want to excite your customers with your homepage content by highlighting your best-selling product, a special offer, or a new item. 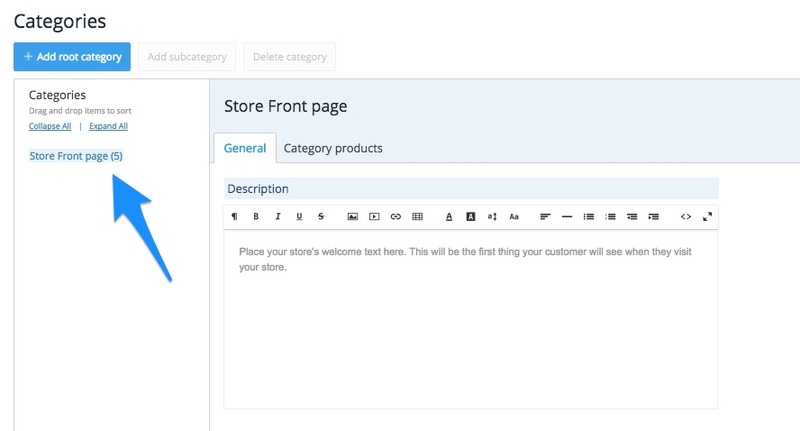 Now you can pick products to display on your homepage and sort them the way you need. 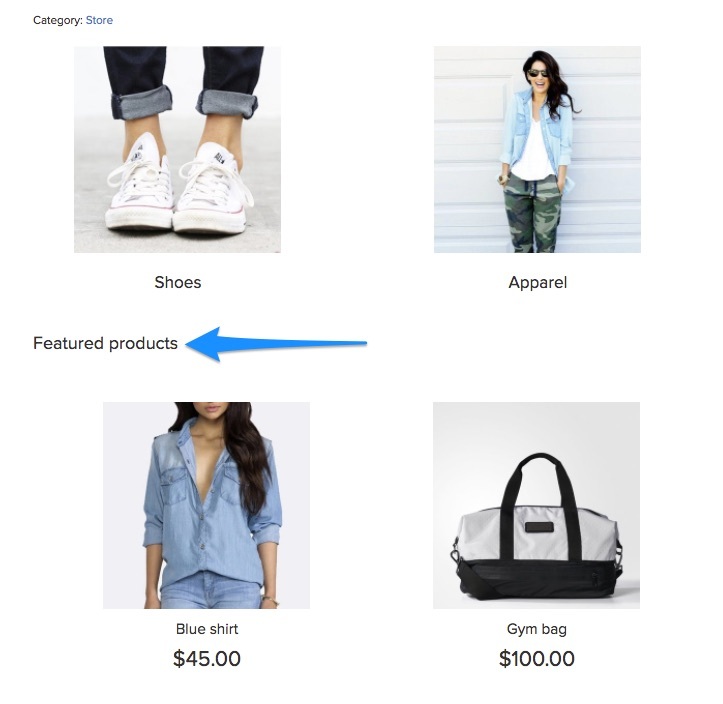 You can assign featured products to your homepage here. In order to put a product on your homepage, add it to the Storefront page category: click Category → Category products and tick the items you want to display on the homepage. Then save the changes. You can sort your featured products on the homepage. If you want to change the order of these products, drag and drop them in your Control Panel. Drag and drop your featured products to sort them. Note: Your featured products will also be displayed in the categories you’ve assigned them to. Products with no assigned categories are displayed on the homepage as well. If you want to add or change this heading, refer to these instructions. What products should I put on the homepage? 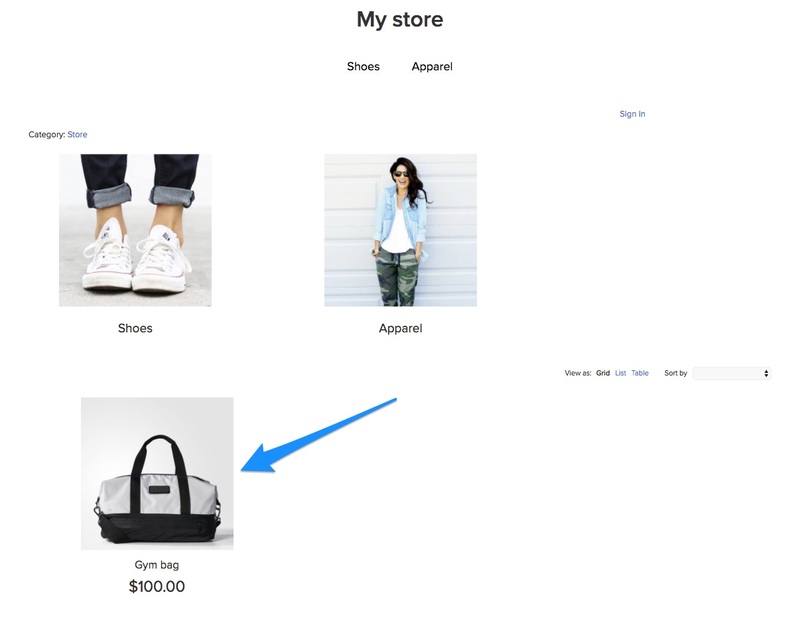 Motivate customers to buy from you: place your best-selling items on the homepage. Showcase your assortment: add products from different categories to give a better idea of your brand. Attract attention to your new arrivals: this will work best if you have a lot of repeat customers. Don’t forget to sort your featured products: put the ones you want to sell out the most first. What if I have 10-15 products total in the store? If you have 10-15 products or less, you might not need to put them into categories. Consider placing all your products on the homepage and sorting them. Add product labels like hot, sale, and new or any custom labels you want, to navigate your visitors through the assortment even better. What are your ways of using featured products on the homepage? Share the links to your stores in the comments below.